In June 1944, the new B29 long range heavy bomber launched an air raid against railroad infrastructure in Thailand from bases in India. It was the longest mission flown during the war to that time. It didn’t take long for Japanese strategists to break out the slide rules and calculate the range. After US forces captured key islands (Guam, Saipan, Tinian etc) in the Marianas group in the central Pacific, and airfields with hard stands for the bombers were rapidly completed, the B29 became an almost daily visitor to the home islands. Late in 1944, with the number and intensity of air raids over Japanese cities steadily increasing, Japan’s military government decided to evacuate key facilities from vulnerable locations such as Tokyo to the small town of Matsushiro in a rural part of Nagano prefecture. Although still confident that Japan would ultimately be able to win the war, or at the very least secure a negotiated peace on its own terms, it was believed prudent to move quickly and secretly. The decision was taken to relocate the Imperial Palace and Army HQ (to Mt. Maizuru), various government agencies, NHK (the Japan Broadcasting Corporation) and the central telephone office (to Mt. Zou), the residences of the imperial family (to Mt. Minakami, 2 kilometers east), the imperial sanctuary (to Mt. Kobo), and military communication facilities (to Mt. Saijo). Note the key emphasis placed on both protecting military control and coordination, and the protection of the imperial system (upon both of which the military government was reliant for its continued existence). Even the Peers School, the school (now the Gakushuin) that educated the children of the Japanese aristocracy, royal family and other wealthy Japanese was to be relocated to Matsushiro. Peer School students including Akihito (the Heisei Emperor), and Yoko Ono (also born in 1933) would have been amongst those evacuated. There are very few signs pointing to the tunnels – if the local and prefectural tourist offices of Matsushiro and Nagano prefecture are anything to go by, they would prefer visitors to take in samurai residences such as Sanada-tei, the Kaizu castle ruins, Chokokuji temple etc – all of which are interesting too of course and worth a visit if you have time. When driving into Matsushiro, there is no mention of them at all. To find the tunnel complex entrance, turn south at the Shell Gasoline Station and walk south towards the Eimyouji Zen temple. It is possible to walk to the Mt. Zou complex from Matsushiro station (distance about 1.5 kilometers), or you can park at Zou-san Jinja, the closest large shrine. When walking towards Eimyouji the first thing to take note of is the terrain. While the town of Matsushiro is on relatively flat land, it is surrounded by steeply climbing hills. Kaizu castle was built on the flat plains, ignoring the hills, but when this site was selected the steepness of the slopes was the most important consideration because the main threat was air power. In 1944, Matsushiro was even smaller than it is now – a small, totally unimportant former castle town. It had a railway station but no rail junction (a favorite target of air raids), it had no major industries (orchards & rice farming dominated the local economy), and even the castle itself was long gone – the buildings you see now are reconstructions. 12 kilometers from Nagano City, there was nothing in particular to distinguish it from the air. The forests and slopes bordered the town and its small farms – so camouflaging the entrances of each complex was relatively easy to do. 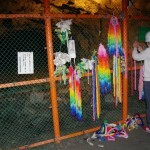 Memorial cranes at the of tunnel route. 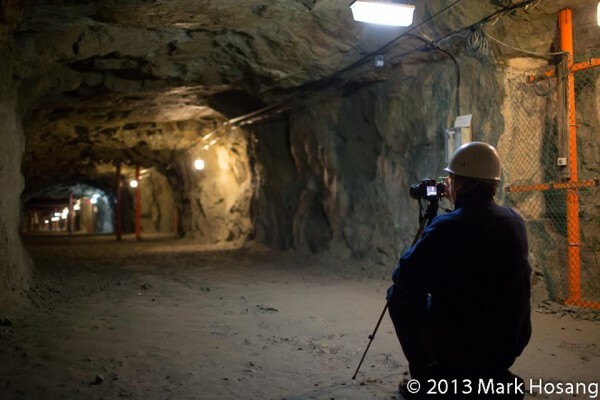 Defense Considerations: Unlike tunnels such as those at Gibraltar, Singapore, or Corregidor island in Manila Bay in the Phillipines, which were mostly designed to withstand extended naval bombardment, the key threat to the Matsushiro tunnels was precision bombing. For the most part, to attack with precision the American and allied bombers of late 1944 had only two ways of delivering their payloads. High altitude bombing: In terms of total tonnage dropped, the most common method was to release the ordnance from mid/high altitudes relying on mechanical bomb sights for accuracy. This was a difficult method as even the famous and effective Norden bomb sights were primitive compared to those in use today. For precision the target needed to be visible to the bombardier, so cloud cover, fog, smoke or darkness provided some protection for the defenders. In the USAAF radar guidance and wire guidance were still in a relativeluy infant stage, and the only aircraft capable of conducting a long term campaign of strategic bombing from distant island bases such as those in the Marianas were large four engine heavy bombers such as the B-17 and B-29. It was primarily these 2 aircraft that determined the defenses adopted for Matsushiro. Dive bombing: The second option available to Japan’s enemies was to make use of specialist “dive bomber” aircraft such as the Helldiver. Compared to the heavy bombers, these were small single engine aircraft where the pilot would dive towards the target, release the bomb towards the end of the dive, and then pull up and away. Compared to altitude bombing this provided much greater accuracy and was particularly effective against relatively small targets (for example ships at sea, instead of cities). Once again, in late 1944 it was essential that the target be visible to the naked eye. The remains of a trolley track in a side lateral. Matsushiro was selected because apart from being able to hide the facilities easily, from an anti-aircraft perspective it was also a strong defensive position. The military government knew that had the war continued, sooner or later the facilities would have been detected and identified (radio transmissions were easy to identify and then locate via triangulation). However mid/high altitude bombing would have been completely ineffective due to the amount of overhead cover the mountains provided, probably even against special ordnance such as the British “Tallboy” or “Grand Slam” bombs, and dive bombing missions suicidal – the aircraft simply not having sufficient room to pull out of the dive before hitting the ridge. 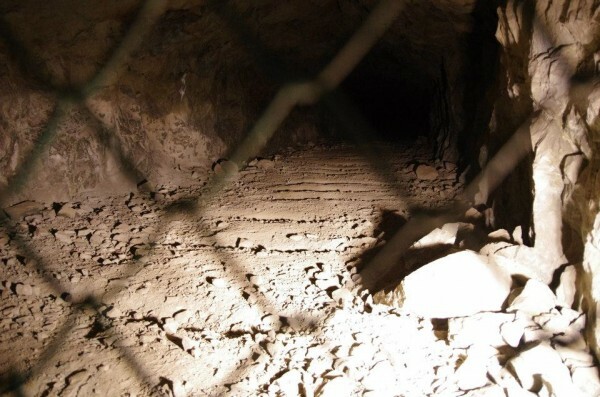 Each tunnel complex had multiple entrances, and even direct hits on an entrance would have caused relatively little blast damage to the majority of the tunnels in each complex. When you reach the entry point (about 150 meters past Eimyouji temple), there is a small office. There is no fee for entry, but the attendant will want to know where you are from, hand you a small pamphlet (free, Japanese only) and advise you to wear a hard hat (also provided free). The hard hat is optional, but take my advice, and wear the helmet. The risk of rock falls is remote (unless there is an earth tremor/quake while you are inside), but the chances of a drop of cold water falling down the back of your next when you least expect it is not. Even in winter, it is very humid inside Mt. Zou, and condensation covers all of the overhead protection. 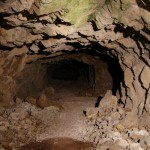 Even if you are of average height, you will need to stoop as you walk down the narrow entranceway – the reason the entrance is narrow is for defense against bomb blasts, and only after 100 meters and several 90 degree turns does the passageway widen and the tunnel become more spacious. It is cold inside even in summer, though the main section is well illuminated. A powerful torch can be useful if you want to have a look down any of the numerous cross tunnels. The decision to relocate essential facilities, the selection of the site and the commencement of construction took place in a very short time period. Digging and blasting started on November 11, 1944 and continued right up until the proclamation by the Emperor on August 15th 1945. Farmland and local properties required for the project were appropriated and the occupants evicted (around 100 families in the Nishijou area were immediately removed without compensation). The construction labor force consisted of the soldiers of the Eastern Division and Construction Battalions, the Industrial Reserve Army and the Labor Service Corps, and students from the railroad school and local public schools. As a result most of the labor force was either too old, too young, or comprised of invalids and others not suitable for front line service in the military. All were conscipts – by this time Japan had been at war with China for 8 years and with the western allies for 3 years. After 1942, as large numbers of able bodied men of military age were difficult to allocate even towards high priority projects, and the labor shortage during the war became a crisis, workers from Korea were drafted to fill the gap – not only at Matsushiro and other military projects, but also operating mines, working in factories etc. Approximately 6000 Korean laborers were diverted from these other duties to work at Matsushiro, and they formed the majority of the total labor force. Not all Korean labourers were conscripts brought specifically from Korea to work in Japan, but at Matsushiro most of the laborers were. Korea had been “annexed” by Japan and absorbed into the Japanese Empire in 1910 a few years after Japan obtained military control of the peninsula following the Russo-Japanese war of 1904-05. As far as the military government was concerned, ethnic Koreans were subjects of the Japanese Emperor and had the same responsibilities as other subjects. There were some Koreans in Japan (those with Japanese language skills & education etc) working in the military (including officers of General rank), and during the 30 years of occupation and forced “assimilation” many Koreans had settled in Japan, either to seek better economic opportunities or as a result of dislocation, and there was also a complex system of labour recruitment that included Korean brokers developed to assemble work gangs. However as the war situation deteriorated, full conscription was extended to Korea and an increasing proportion of the Koreans working in Japan were those who had been conscripted. While the labor force at Matsushiro included Japanese and Koreans, military and civilians, it was the conscripted Korean civilians who suffered the most. Conditions during the construction were terrible. The pressure of lack of time, and insufficient allocation of resources meant that accidents were frequent. Drilling and other tunnelling equipment was in short supply, so hand drills and dynamite were used. Working with dynamite requires training – but there wasn’t enough time, so avoidable accidents were constantly repeated. 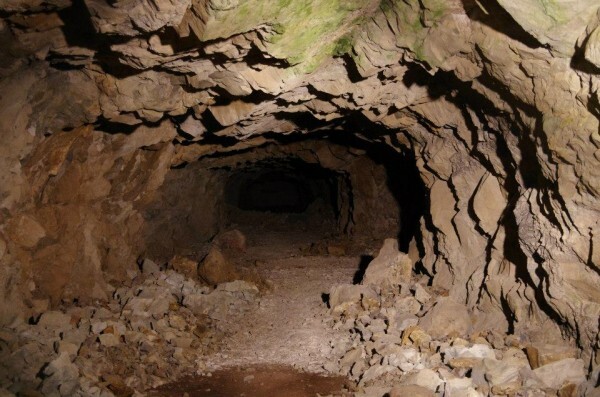 Overhead supports that should have been completed and checked before tunnels were further extended were often unable to be built due to the materials not being available in sufficient quality or quantity etc, leading to frequent tunnel collapses. Iron and steel were in short supply, so all overhead supports were made of wood. Even the extensive tram system developed to move rock out of the tunnels used wooden rails on the sleepers instead of steel. Quite a number of workers were killed in explosions, cave-ins or from subsequent asphixiation, but in the summer of 1945 the main killer was hunger. For Matsuhiro, and the rest of Japan, the supply and distribution of food was a serious problem. Long before 1941 the home islands of the Japanese empire were already net importers of food, principally from Taiwan and Korea, and this had been exacebated in part due to labor shortages caused by Japan’s on-going war against China. By late 1944 all able bodied men were in uniform, and the four “home islands” were extremely dependent on the supply of foodstuffs from the Asian mainland (especially “Manchukuo”), Taiwan (a net exporter of food during Japan’s 1894-1945 rule of the island) and to a lesser extent the newly acquired territories in South East Asia taken during 1940-42, such as Thailand and the territories taken from the French, British, American, Dutch and Portuguese. The supply of food was soon disrupted by the Allied naval blockade. The presence of US, British and Dutch submarines, along with long range aircraft dropping mines into sealanes and harbour approaches, or torpedoing vessels during maritime patrols, were taking a steady and increasing toll on Japanese tonnage. The effect of this attrition was that food shipments were plummeting. The supply of imported food was becoming unreliable, and large amounts of what did reach Japan was appropriated for the military. When air raids from the Mariana islands and then Okinawa increased through 1945, not only was there the problem of the blockade reducing food imports, the domestic distribution of the trickle that did arrive also became a problem. Japan’s rail infrastructure was heavily targetted (particularly high priority targets were railway junctions, goods yards, workshops, factories producing locomotives etc). Oil shortages ensured that road transport was not really an option, so the net losses of locomotives and rolling stock soon meant that the available infrastructure was increasingly unable to ship food to where it was needed. Food rationing had already been in place many years, and the volume and quality of food rations were gradually reduced. Just as malnutrition was becoming a major problem in cities such as Tokyo, Osaka, Hiroshima etc, it was a major problem at Matsushiro for several reasons. Apart from the general issue of supply, those performing the most dangerous and arduous tasks in the construction process, and who needed a high level of calorie intake in order to perform those tasks, were by definition of lower status that the military and others supervising the project. Many of the Korean conscripts in particular, were engaged in hard physical labor without sufficient calorie intake, nor appropriate rest and medical care. 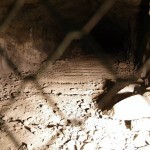 We still do not know how many people died digging the tunnels that we can now walk through. Apart from cave-ins, explosions, illness (the supply of medicine to those in the greatest need was also being affected by the bombings, appropriations, and local decision makers), and physical collapse due to overwork and malnutrition, there were also suicides amongst the workers, as well as executions. As with many other places throughout Japan after the surrender proclamation on the 15th, the bulk of the documentation related to the project was burnt, and we don’t know the names of all of those who died. It is believed that the number of casualties was around 300, while other reports mention 1000. In the context of the total casualties suffered during the last year of the war they become a footnote, but walking through the tunnels you can sense the personal tragedies, the fear and the desperation that each and every one of the workers was suffering. 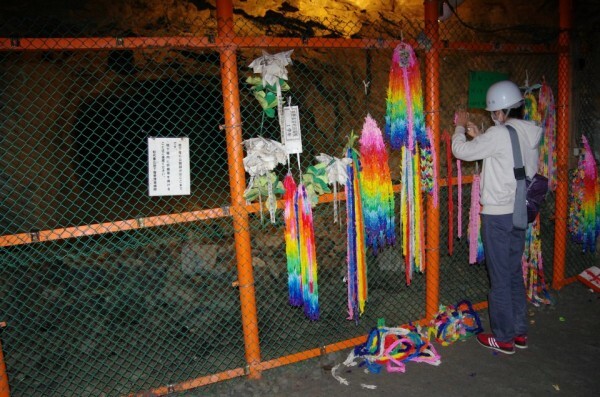 According to information provided at the entrance to the tunnel complex, the names of only four of the victims are known – Tosan Paku, Kisuru Kim, Tokusu Chou and Jiro Nakano. The tomb of Jiro Nakano is located at nearby Eimyouji. The temple is worth visiting, and the wife of the family maintaining the temple is one of the volunteers staffing the information booth at the tunnel entrance. Notes: The Mt. Zou complex is open from 9am to 4pm daily, but you need to enter no later than 3.30pm. Only the Mt. Zou complex (about 5800 meters of tunnels) is open to the public, and only for about 500 meters or so from the Nishijou entrance. It is closed every 3rd Tuesday of the month, and also during the New Year break (December 29th to January 3rd). 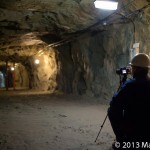 They sometimes need to close the tunnels for safety inspections etc, so if you are travelling a long way it may be worth calling the tourism information center in Nagano City in advance to check (Japanese only, call 026-224-5042).